'A coin (with a hole in the center) and a ring are placed into a clear box. 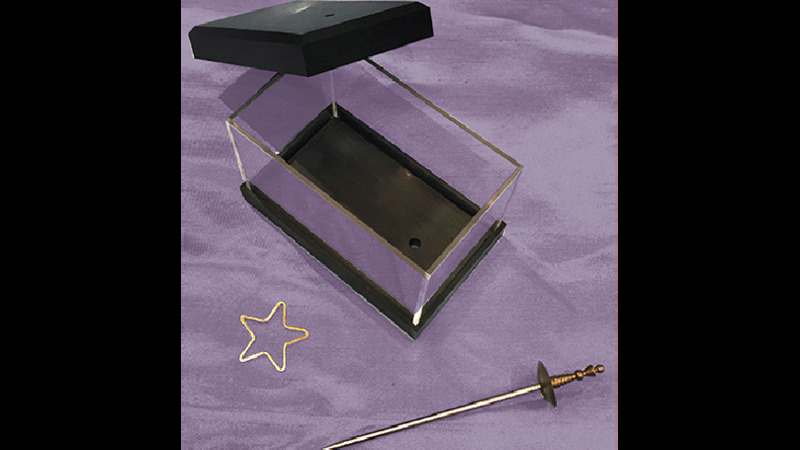 A mini sword is place through the box trapping the coin. In an instant the coin has freed itself and the ring is trapped by the sword!! Impossible!